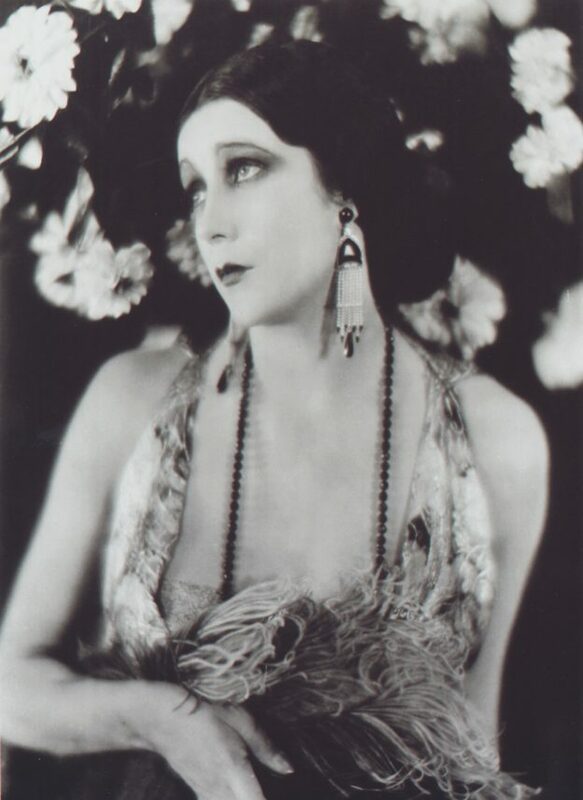 After collapsing in a coma on the set of her final film, The Girl from Montmartre (1926), silent screen star Barbara La Marr, suffering from pulmonary tuberculosis, was forced into isolation in Altadena, California, by her doctor in October 1925. As the months passed, Barbara often worried that those in the outside world had forgotten her. They hadn’t. Following her death at age twenty-nine on January 30, 1926, while she lay in state for four days in a Los Angeles chapel, an estimated 120,000 mourners—other Hollywood stars and friends who had worked with or known her intimately, fans who had worshipped her luminous image on film screens, and folks who had been touched by her kindness and unyielding generosity—filed past her golden velvet bier, paying their respects with tears and floral offerings. Among the flowers engulfing her bier and filling the chapel to overflowing was a single red rose, tucked beneath her hand by a twelve-year-old girl. “To my Beautiful Lady,” the accompanying note read, “whom I have longed to meet in this life and whom I look forward to ‘knowing’ when my time is over here. May my life be as lovely and unselfish as yours has been.” The girl’s rose, considered by Barbara’s father to be the greatest tribute, was buried with Barbara. This entry was posted in New Photos, Uncategorized on January 30, 2019 by Sherri.